Bathrooms, much like kitchens, can quickly become dangerous for seniors, since there is a high likelihood of having an accident in this room. As you grow older, walking may become more difficult and balance may not be at its best anymore. 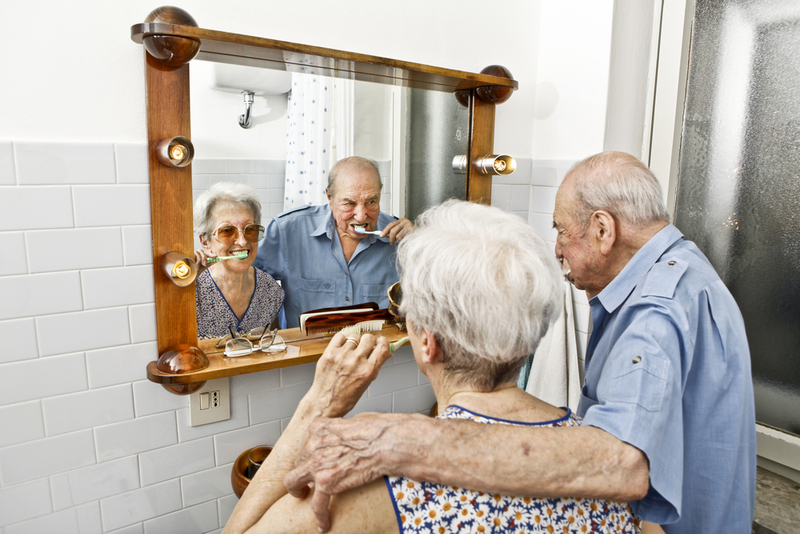 The good news is that you can take some easy measures to make your bathroom a safer place for seniors. Here are some of the top bathroom safety tips to begin using within your own bathroom to improve your safety. If you feel a bit unstable in the shower or the bathtub, a shower bench or chair can be a great way to make your bathroom a bit safer. Make sure that the bench or chair is secure so you don’t slip off it while you are in the shower. This allows you to sit down while showering, reducing the likelihood of a fall. When you need to use the bathroom at night, entering a dark bathroom is an accident waiting to happen. Installing a nightlight is an excellent idea, giving you plenty of light when you need to head to the bathroom at night. It’s also a good idea to add a nightlight to your hallway if you have to go down the hall to use the restroom. When you’re having a bit of trouble steadying yourself, don’t grab the towel bars in your bathroom. These bars may not hold your weight and could lead to a fall. Instead, it’s a better idea to install quality grab bars at different places within the bathroom. Look for options that are installed correctly and designed to hold a person’s body weight. Falling is one of the top accidents that happens in a bathroom. To help avoid falls, eliminate any items that may trip you while you are in the restroom. For example, consider removing any rugs that bunch up, since they may become tripping hazards. If you want rugs in the bathroom, look for non-skid rugs that won’t move when you step on them. Make sure cords and other items are out of the way so you don’t trip over them as well. Sure, you can place non-skid rugs, mats and decals around the bathroom, but this doesn’t mean you won’t find a slipper spot somewhere else on the floor. For this reason, it’s a good idea to wear non-skid footwear while you are in the bathroom. Non-skid socks or slippers make great options that will help keep you from slipping. Add a raised toilet seat to your toilet or purchase some other device that helps to raise your toilet seat. If the toilet seat is too low, you could be trying to go down too far when you sit down, which could result in a fall. Simply elevating the seat can make a huge difference. Unfortunately, when individuals fall in the bathroom, there may not be someone around to help. If you live on your own, a medical alert system may be an excellent idea. This way you get help if you do have an accident while in the bathroom.